This post will show you how can create a Docker Machine instance on AWS (EC2) starting from scratch. This means you're starting with your free AWS account with nothing configured after you have signed up for your free AWS trial account. To create a Docker machine instance in AWS, the docker-machine command requires several params for the AWS driver. To get the amazonec2-access-key and the amazonec2-secret-key we need to have an Amazon EC2 Access Key and an Amazon EC2 Secret Key. Both of them can be obtained by creating a user in IAM. Make sure to check "Generate an access key for each user". Make sure to create a copy at safe place as this is the last time you'll see them in IAM. 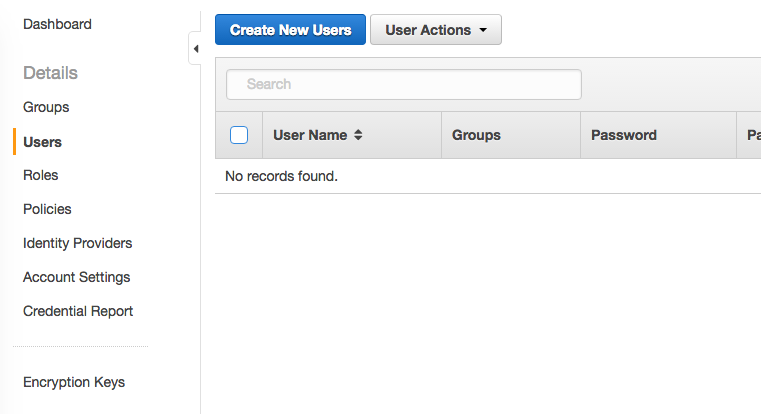 In order to manage AWS EC2 instances we need the appropriate permissions. 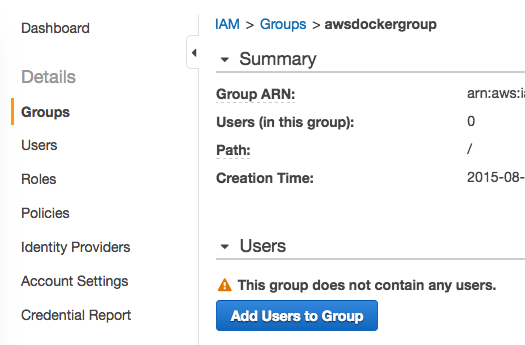 To assign the permission to manage EC2 instances our awsdockeruser needs to be a member of a group which has that permission. Next, we need to know region, zone and VPC id. These can be obtained by using the AWS CLI. On Linux and OS X, it can be installed using PIP package manager. AWS CLI configurations asks you for your AWS Access Key ID, your AWS Secret Access Key (remember them? ðŸ˜€), Default region name (codes can be found here - I've choosen eu-central-1), and Default output format which I set to json. The amazonec2-zone param is the last character of the AvailabilityZone of the subnet you choose to use, so a or b here. 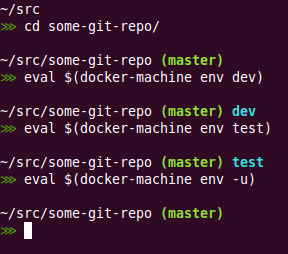 To make sure everything works as expected, just run docker ps. You can have this in your prompt if you use my bash prompt definiton from here. Using docker-machine ip awsdocker you can get the public IP address of your machine. If you're deploying some containers, you might wonder, why you can`t access your containers exposed ports like http://<machine-ip>:<someport>: because firewall ðŸ˜±.